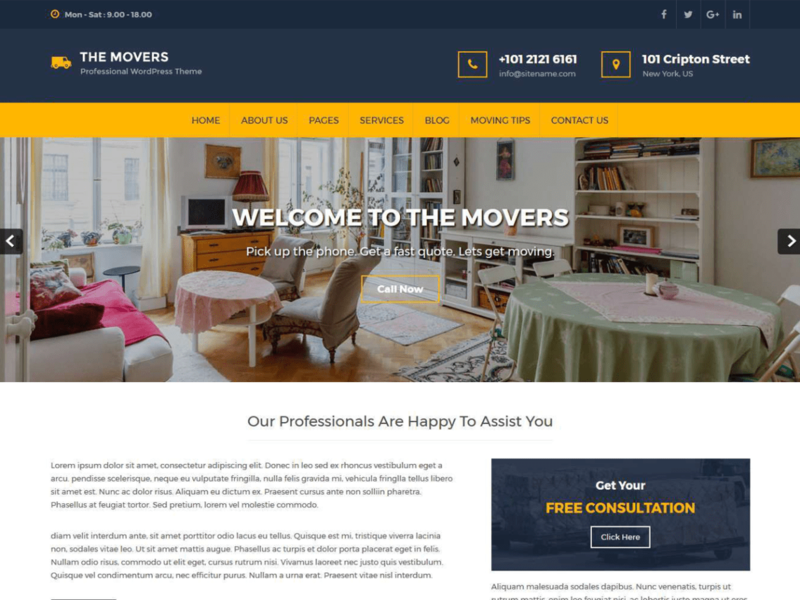 The Movers lite WordPress theme specially crafted for movers and packers business. Location and call to action added on the header which is the important part for the moving business. The Movers is the responsive WordPress theme and it look good on all type of screen sizes. You can use this theme for any other purposes like Construction, Corporate etc. This theme is build with modern design and few options in customizer so you can make a decent website for your business. This theme is translation ready and fully responsive. This theme is compatible with the latest version of WordPress and the plugins like woocommerce and contact form 7.